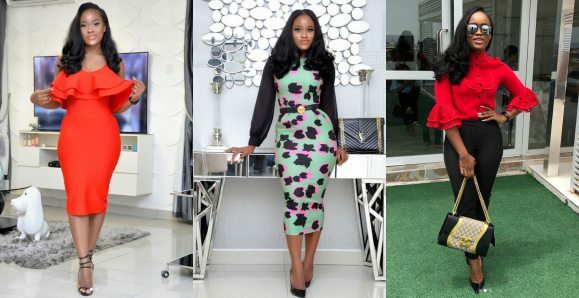 Cee-C who was one of the celebrities that turned up for ‘Trace Live Presents Becoming Falz The Bahd Guy’ event, is currently trending on social media after she curved some beard gang members. The beard gangs who approached the reality show star over an undisclosed reason, were left at their spot by Cee-C who jokingly waved them off. On the other hand, Cee-C and Leo have sparked a romantic relationship rumor following ‘romantic videos’ updates and posts they’ve shared on social media. Few days ago, Cee-C penned down an emotional piece for Leo on his birthday, and also organized a surprise dinner with his family and friends for him on Tuesday night. Acknowledging her, Leo took to his Twitter page, writing “Alright, so everyone knew I didn’t want to celebrate my birthday but Cynthia decided to call my family and friends. She basically did a surprise birthday dinner for me. Wow. Also, a romantic video and pictures of both housemates at the birthday dinner sparked reactions from Nigerians online.